Sky+ turns iPhone app into a remote control | What Hi-Fi? The Sky+ app for iPhone and iPod Touch has been updated to turn it into a remote control, so it can be used to change channels, or pause, play and rewind TV with a swipe or tap of the finger on the screen. 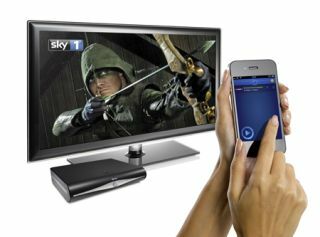 As per our story last month, Sky TV customers can also access their Sky+ planner through their iPhone, browsing all their exsiting recordings on the set-top box, as well as setting up and deleting recordings. To take advantage of these new functions, the Sky+ HD box must be connected to the same wi-fi newtork as your iOS device. Sky already offers a similar control app for the iPad, and the new features will be coming to Android devices in the coming months. Last week rival Virgin Media released its TiVo app for iPhone/iPad offering similar functionality.